Karni Mata temple is sitiated in the town of Deshnok in the Bikaner district. Also known as the temple of rats, this infamous temple is 32 kilometers away from Bikaner. Thousands of worshippers come to Deshnok to pay visit to the 600 years old temple of Karni Mata. 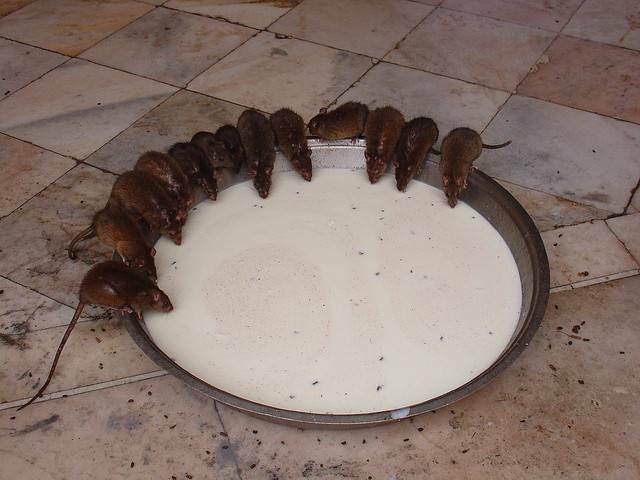 The Karni Mata temple is built by Maharaja Ganaga Singh of Bikaner as is famous for the rats. The rats are worshipped in this temple as they are considered the sons of Karni Mata, so the two thousand rats in the temple are revered and protected. There is a legend here in the temple that if one sights a white rat that is considered auspicious as the white rat is Karni Mata herself.